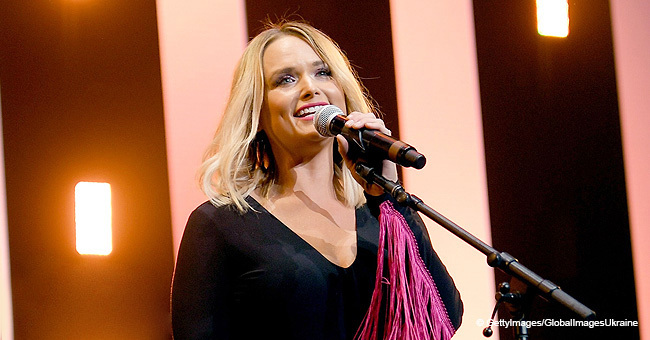 Miranda Lambert debuted her wedding ring at the "American Country Music Awards," and it stole the show. She was also dressed in breathtaking outfit. The singer turned heads in a beautiful neon-green, halter neck gown; she accessorized with dangling earrings, with her blonde hair parted at one side. As great as Lambert looked, what caught everyone’s attention was her wedding ring which she wore for the first time in public. Placing her left hand on her waist as she posed for pictures, the singer flaunted her bling. The ring is a pink diamond nestled in a rose gold setting. Around it is a nimbus of enclosed diamonds that sit on diamond-encrusted bands, placed on both sides of the ring. Miranda Lambert at the 54th Academy Of Country Music Awards. | Photo: Getty Images. During her solo performance of “Little Red Wagon,” Lambert put up her left hand with the ring in full view; she wore a black leather jumpsuit. 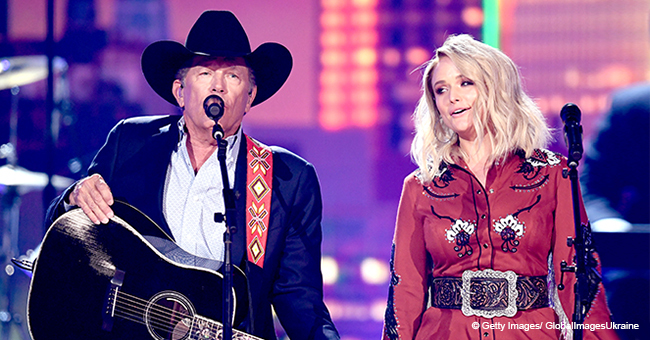 Towards the end of the award ceremony, the “Pistol Annie’s” member changed into a brown cowgirl-belted outfit for her duet with country legend, George Strait. Posing in the outfit, the singer made her hands noticeable, and once again, her ring stole the moment. 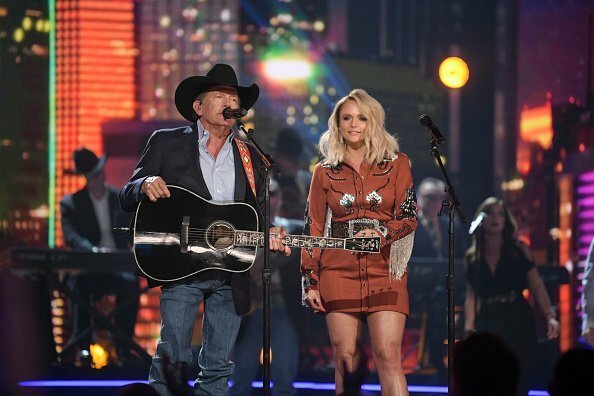 George Strait and Miranda Lambert performing at the 54TH ACADEMY OF COUNTRY MUSIC AWARDS. | Photo: Getty Images. Despite the attention it got, what really got people talking is the obvious line change in the lyrics of “Little Red Wagon” from “I live in Oklahoma” to “I got the hell out of Oklahoma.” The public view of the change is that she meant to throw shade at her ex-husband, Blake Shelton, who attended the award with his partner, Gwen Stefani. “The House You Built Me” singer also performed in the area Mcloughlin works crowd control. Attending the ACM together is the couple's official red-carpet debut, and they appeared happy and in love.